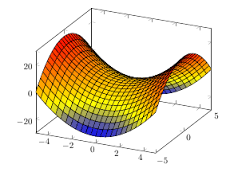 Forums > Software > How to draw the yield curves in time and paths? I mean, finally I have 4 dimensions. time, path number, and the yield curve which is two dimensional. How to present that visually? But how to do that with curves? More over all them are going from zero to 1.
but my Google skills are not up to the task. hmm whats wrong with interpolation of the 10 steps? I am not sure what you want to say. 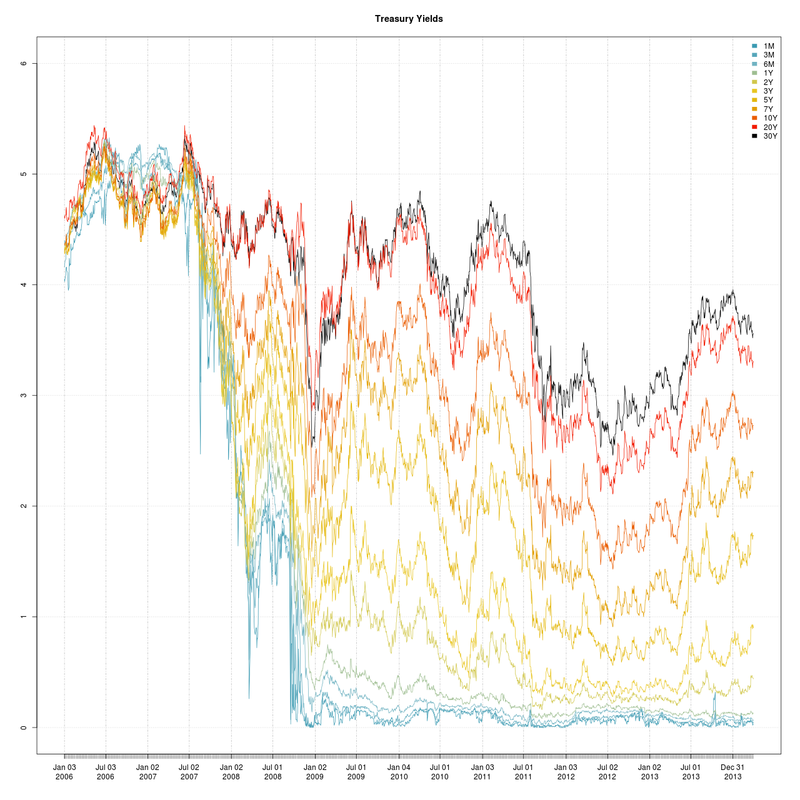 Should I show the average of yield curves on each path? losing quite lot of information. Well, I know sub optimal, but is an animation an option for you? Like a moving surface (over one dimension)? > Like a moving surface (over one dimension)? I was considering it, but maybe something nicer? But you won't see the totality. and ask what causes them. Maybe try this or this for inspiration? I think you are looking for a means to show a tesseract to the novice. Projecting into 3D is one way to think of it (eg a movie). I don't know a good answer for how to do this elegantly, sorry. If you want to see how not to do it, there is a Carl Sagan thing on you tube somewhere. what has a teseract to do with yield curves? I thought that my original question was straightforward enough. Tesseract = 4 dimensions, just like you have. I thought it might be a simple geometric analogue to your yield curve visualization problem. Sorry if this isn't helpful, but good luck with it. your question may come up because there hasn't been enough brute force survey of 'raw data' (curves)...or there is fear that data set in hand is not comprehensive and you want to do raw data survey with your visualization in an online way. Seems the question about how to show will be easier to answer when you know what features are essential, invariant to your purpose, what information is not relevant. I wouldn't discount the effectiveness of a set of indexed sheets, one per curve which can be arranged and rearranged in meat space. then consideration of projection (geom/stat), embedding, crypt recoding, measure, summary, interactivity? pj, without more information about what you want to show I think it's hard to give general advice other than the obvious mathematical options. If you want to show certain risk zones you should color them something obvious, like red. Do use Lab colors rather than HSV if you want to code information into the color parameter, but generally I think people lean too heavily on the viewer's ability to pick up precise differences in color/time variation in a chart. This is what's wrong with Chernoff-Fleury faces, and with the FMS Symphony: yes, you can code high-dimensional data onto these parameters, but it just doesn't hit the viewer between the eyes the way an Economist chart does. The eye can detect small quantitative differences in lines/curves, but not #FF0000 − #EE0000 = #009900− #008800. (Nor rotations thereof, nor doing the same with eg a saturation dimension that keeps lightness/brightness/value constant). Now, let's say you want to draw attention to the 8th month. Then I would code using all greys of different lightness (whether long or near gets more transparency depends on your perspective) and red the 8th curve. You could also freeze that curve across all time-points, or maybe opacity=1% all the curves and have opacity become 80%-90% as time ticks through that particular curve. It's very easy to get lost in the computer defaults or in the fun of thinking about high-dimensional math. But attention and clarity is what you're after, and those have mathematical properties that are totally unrelated to whether in theory it's possible to make some bijection between (or epi onto) colour/time/a plane and (from) N dimensions. I like the above image better than the surface you showed because it has the BAM factor. Evolutionarily our red cones are there to pick out fruit from among a see of green leaves. Your surface picture treats colors like wavelengths, which is physically right but psychologically wrong. I said greys + 1 red, but you could reinterpret that with browns + 1 blue + 1 yellow (brown is neutral, both blue and yellow can contrast) if you needed to indicate two different things. I would also suggest that generating everything programatically is inferior to printing out the fine / precise parts and then drawing with a crayon / marker / MS Paint over the parts of the curve/surface you want to highlight. Let's say you want to highlight a small segment of one of the curves. Nobody who wrote matplotlib or R plot expected you to do that, and you don't want to go hack on the libraries / language just to do something so simple. Those intuitions you would do if a crayon / marker were your presentation tool are, to me, more likely to be the right ones. The computer comes in when absolute precision is needed (eg, the hand is bad at drawing slopes that are twice as steep, let alone 10% or 5% steeper). Carl Dair, iirc, said that type is a perfect form of handwriting---a hand that forms every letter and spacing around it exactly the same each time, the letters well proportioned to each other (depending on the font), etc. That (along with the evolution stories about our cones) is what I think about to not get lost in the weeds of my toolkit in presenting something like this. ** Incidentally I have a rant stored up about trading screens using green and red instead of warm and cool. Shows very little design / critical thought went into coloring the Big Board. Interesting stuff. 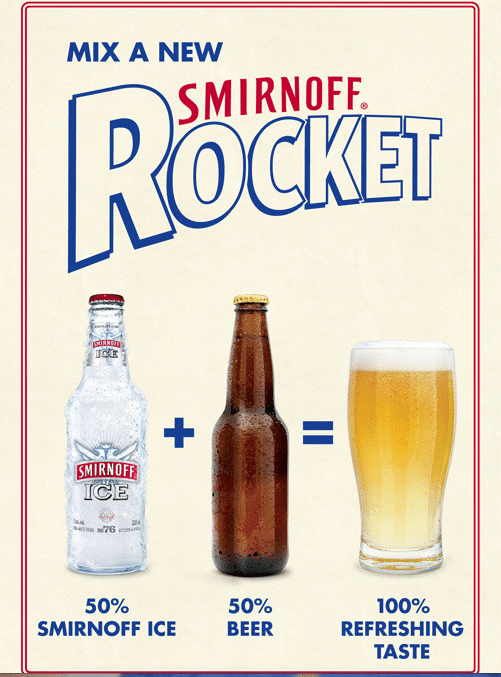 But not exactly Rocket Science! And I should know! EGH, when did you last design a rocket? "EGH, when did you last design a rocket?"